For a startup, a strong user community can be a powerful tool for engaging customers and getting in-depth feedback on product features and the total user experience. But, if it’s poorly implemented, a community can end up frustrating users and draining company resources. To get started building a truly great customer community, you’ll need to answer three big questions. What is the primary purpose of the customer community? Your community can, and should, serve multiple business needs, from enabling customers to support each other, to building advocacy groups to product development and innovation. But when companies, particularly startups, try to build it all at once, their efforts get diffused across too many priorities and it ends up underperforming on all fronts. The most effective (and easiest) way to start is by focusing on one area that will drive the most value for your business and to build out your strategy and team to support this one value. Then, with a solid foundation, you can begin layering on additional functionality. The team at CMX has created a fabulous framework to help businesses define how communities should fit within their organizations. 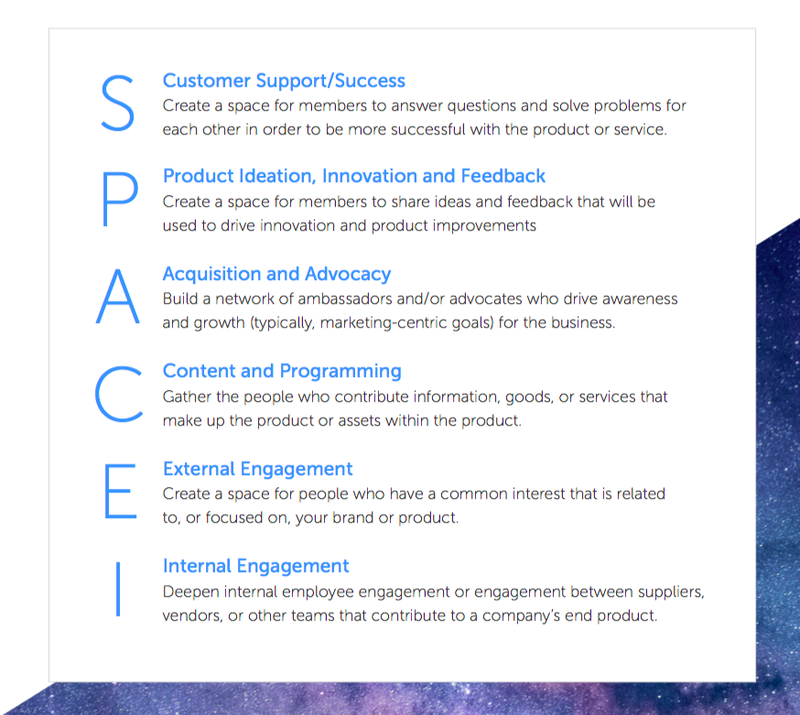 The SPACEI Model outlines where in your business the community will bring value. One thing to note when applying this SPACEI model, clearly the Customer Support/Success term refers to a narrow definition of the term but any of these could be used for CS. With the SPACEI Model in hand, bring together the relevant stakeholders to determine the top priority for the community and how you will use it to drive value for the company. How will you incorporate community feedback into your organization? 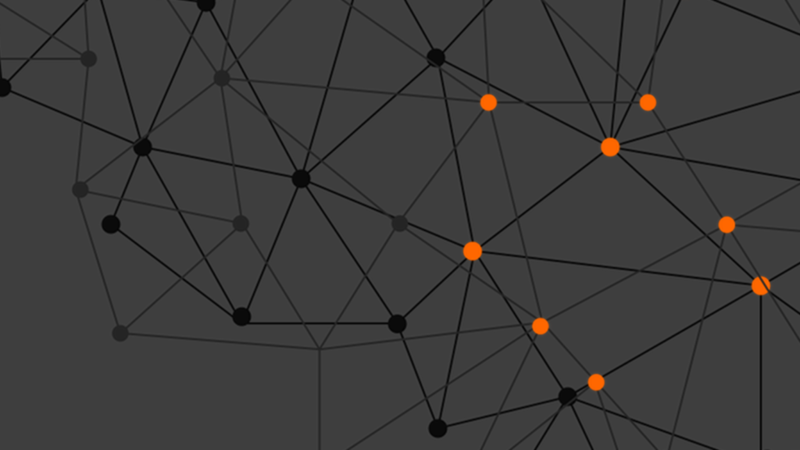 Your community will become a key component of the customer journey. As such, it’s important to clearly define how it fits within their journey, how you will create built-in feedback loops, and how you will integrate that feedback into your organization. Communities succeed when their members feel they are being heard and that you are acting on their recommendations. Creating a strong feedback loop with customers takes organizational commitment and, startups should not underestimate the time it will take to manage. A well-run community can deliver tremendous ROI, from generating referrals to increasing customer lifetime value to diverting costs from your technical support teams. But to sustain and grow your community, you’ll need the numbers to back it up. To help ensure long-term success, the critical KPIs should be defined early in the planning process and woven throughout the design and implementation. As you’re determining your metrics, don’t get caught up in analysis-paralysis. The SPACEI Model has done a great job of identifying the most useful key metrics for each of the community types.